COMPLETED MODEL HOME BUILT BY MODERN HOME CONCEPTS! Outstanding standard series Farmhouse-style Ranch Home built by the award-winning custom home builder, Modern Home Concepts! Modern Home Concepts homes are Energy Star Certified 5 Star Plus! 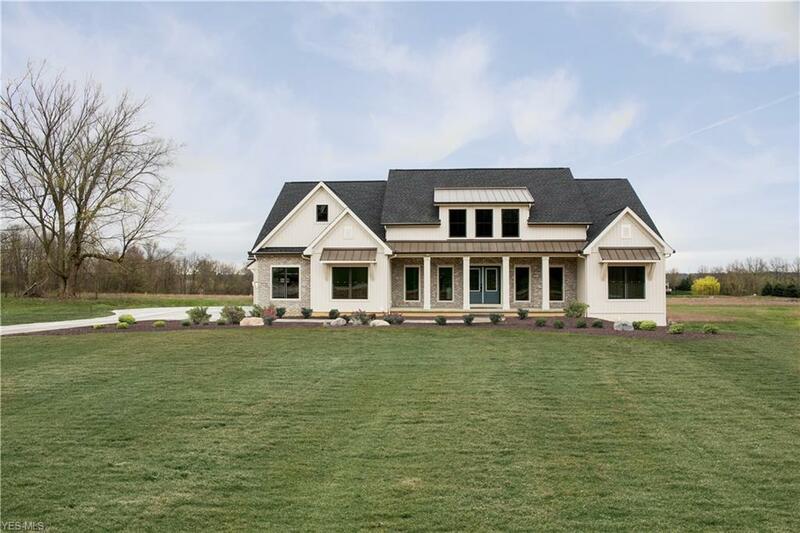 This home is located in one of Sharon Townships most coveted neighborhoods, Colonial Hills. This layout offers 3+ bedroom, 3+ baths, and a first floor office! The chefs dream kitchen has custom maple cabinetry, granite counter tops, custom beams in the vaulted ceiling, and stainless steel appliances. The focal point of the kitchen is the spacious island and large eat-in area that is perfect for entertaining! The covered rear patio includes a fireplace and is located off both the kitchen and family room! Looking for a private owners retreat? Then look no more as the owners bedroom is off the rear hall and offers an in-suite bath featuring an over-sized shower, dual sinks, and much more! The other 2 bedrooms on the first level have a private shared bathroom. The partially finished basement has a large recreation room, full bedroom with egress, large closet, and a full bathroom. This home has it all! This home is move-in ready. Schedule your appointment with the Modern Home Concepts team to get more information on how to make this home yours!